Baby Dust book give aways everywhere! This is just the beginning–I am so lucky the baby loss community has rallied around the novel Baby Dust. Something like ten more sites will be planning give aways in September and October. Robyn is giving away FIVE signed copies on Aug. 26! The publishing company is giving away a copy on Sept. 1, and international entries are okay there. They will ship a book to Australia or England or anywhere–I’m amazed at all the countries that are being super supportive of Baby Dust. 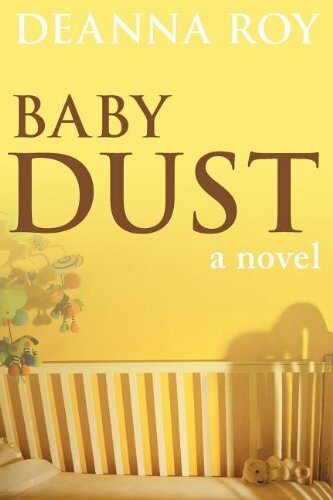 Goodreads is giving away five copies of Baby Dust between now and Sept. 15! Go put your name in the hat! (And maybe become a fan? 🙂 I have four fans. Four AWESOME fans!!! Giveaway ends September 15, 2011. Baby Dust book launch is a go! Saturday, October 15 at 3 p.m.
4:30 p.m. Face to Face Austin Meet and Greet. A local support group affiliate of Faces of Loss, Faces of Hope, will be hosting a gathering at a restaurant immediately following the launch, probably about 4:30 or 5. Stay tuned for more information on that.